Today marks the centenary of the end of World War I, and as I paused in remembrance at the eleventh hour this morning I thought of my Great Uncle Sam. And as I reflected on the life of my relation I wondered – was there anyone else in the world also remembering Samuel Rubery Thompson today? Armistice Day is the perfect time to write his story, however limited it may be. But he was once a loved member of my family, and I intend for his memory to live on. Uncle Sam was something of an enigma to me as a young, impressionable child. While listening to the stories my grandmother Florence Thompson told me about her older brother, I couldn’t fully appreciate how he “fit” into our family. He didn’t have the same mother as my grandmother, yet he was her brother. She adored him and spoke so highly of her brother, yet he died so young – why? What had happened to him? 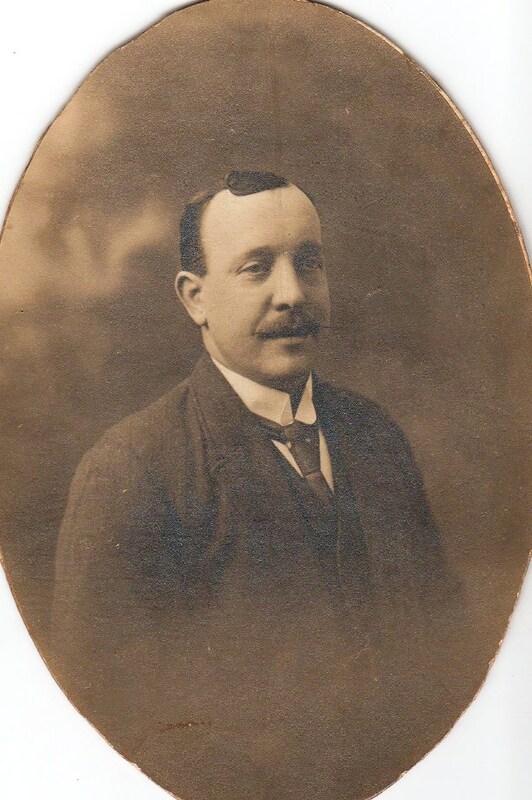 Samuel was born to William Thompson and Elizabeth Ann Howarth in 1880, with the 1881 Census showing the six-month-old living with his parents and maternal grandmother in Pendleton, Salford. He was baptised on the 6th October 1880. What became of his mother, however, is unknown. By 1891, Samuel still lived with his family in Pendleton, but with his father and his father’s second wife, Jane. Ancestry.com provides a comprehensive account of Samuel’s army service. On the 29th December 1898, Samuel enlisted in the Royal Welsh Fusiliers. At this time, he was regarded as “a respectable lad”. According to his Army record, he transferred from the 4th Battalion Manchester Regiment. Considering a man must be eighteen years of age to join the army, Samuel could have only been with the Manchester Regiment for three months at the time he joined the Welsh Fusiliers. 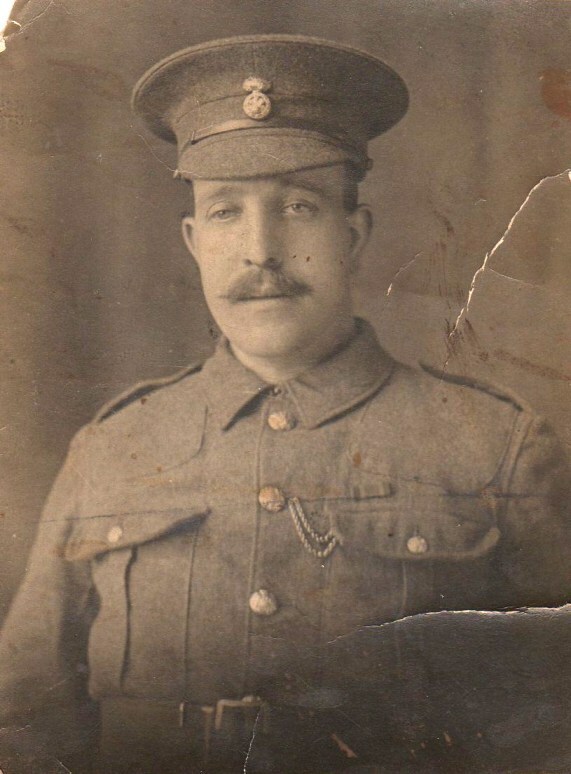 When joining the Welsh Fusiliers, Samuel’s occupation was listed as a barman, he was five-feet-three-and-a-quarter inches in height, weighed only 123 pounds, and had grey eyes and dark brown hair. Online records suggest Samuel chose the army as his career. He advanced to Lance Corporal, then on the 26th April 1904, he was promoted to Corporal. He served in this position for only six months, however, and on the 2nd November of the same year, Samuel was tried and convicted for “drunkenness”. The event occurred on the 20th October at Dover, hence he was demoted from his position. It can be safely assumed that Samuel had quite a liking for alcohol – the only times he was reprimanded while in the army was due to his over-exuberant intake of the beverage! Samuel at far right of photo. By 1904, twenty-four year old Samuel had grown to five-feet-six inches, and had transferred to the Army Reserve. He was still in the Army Reserve in 1910, “willing to serve for general service in the army”. On the 22nd February 1905 at St Stephen, Salford, Lancashire, Samuel married twenty-two year old Ada Dugmore. 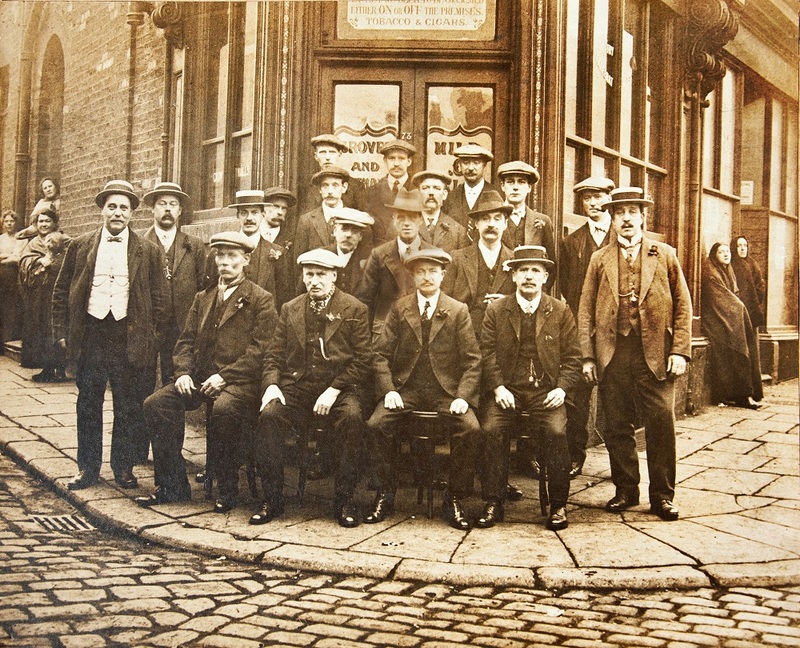 In the 1911 Census, the couple were recorded as beer retailers living in Salford. They had been married for six years, and had no children. Sadly, a recording in Samuel’s army medical record shows that he suffered from a bout of the mumps when he was aged nineteen, followed by recordings of orchitis. Orchitis during teenage years often leads to sterility in males, which would offer an explanation as to why he and Ada didn’t have any children. After World War I broke out, Samuel was immediately sent to France with the Welch Fusiliers. In the final entry of his Army Record, on the 30th October 1914 Samuel was reported missing, presumed dead. He was only thirty-four year of age. Samuel’s place of death was “France and Flanders”. His name is included on a memorial plaque at Ypres Menin Gate, West Flanders, Belgium. One-hundred-and-four years after my Great Uncle Sam’s death, the internet has provided answers to what became of my grandmother’s beloved brother, yet there are few people left who knew of him. With no direct descendants to keep his memory alive, Uncle Sam could become a forgotten statistic of the Great War. Yet I was one of the lucky family members who knew about him, thanks to his sister, my grandmother Florence, the Great Story Teller. We will remember them. ~ Ode of Remembrance, 1914.